Valentines day card. 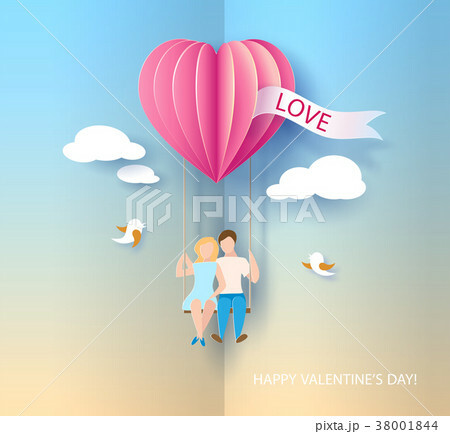 Abstract background with couple in love on teeterboard, heart balloon and blue sky. Vector illustration. Paper cut and craft style.